A Harvard student has had his internship with Facebook terminated because of an app he developed using their information. 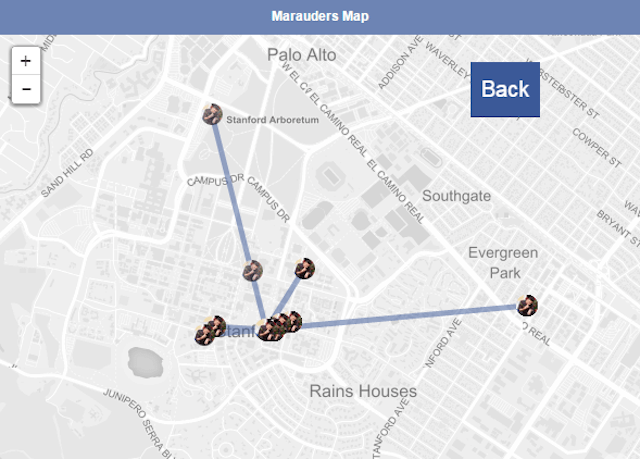 Marauder’s Map was a Google Chrome extension that allowed users to track the exact present location of any of their Facebook friends. There was just one requirement: that the person you wish to stalk had the Facebook Messenger app installed on their phone. You may or may not remember a brief period where tapping someone’s message in the messenger app would show you exactly when and where they sent it. This feature was fleeting, and soon became an optional feature that most chose to ignore. But with the Marauder’s Map, users could see where you were whether you messaged them or not. Aran Khanna is the intern in question, and he claims that Facebook was wrong to terminate his contract. According to Khanna, he didn’t violate any policies because the information he used was readily available to developers. Khanna was let go 3 days after the Marauder’s Map went online, after refusing to take it down. Although he eventually did deactivate the map, he left the code available online for others to see. Khanna says that he wanted to make a point about how willing we are to give up our private information, and how easily it can be used against us. …the first thing I noticed when I started to write my code was that the latitude and longitude coordinates of the message locations have more than 5 decimal places of precision, making it possible to pinpoint the sender’s location to less than a meter. …because there are no readily visible consequences to sharing your location, users are never incentivized to devote attention to what this default of sharing is actually revealing about them.